Talking to Olivia through the PetCam. The past few days have gotten me thinking about history and memory, haunting and erasure, legacies, tradition, and globalization. I think that the erasure of colonial history, in the tearing down of buildings, in the renaming of streets, is, in a way a revision of history. To that end, I think our discussion of how these erasures do not “solve” the problems of Japanese imperialism is significant. Much of my work work focuses on the trauma, melancholia, and haunting of history, and our walk through Seoul on Monday revealed to me the palimpsestic quality of Seoul’s landscape. Even with shiny facades and new names, evidence of the influence of past eras remains in vestiges at every turn. Time and progress lie in layers, each era never fully erased. Anachronistic buildings remain to haunt Korean modernity much like the legacies and unhealed traumas of imperialism and war. I am also thinking about complicating our understandings of Japanese imperialization, traditionalism and globalization. I don’t think these things are necessarily mutually exclusive. Korea’s wholesale dismissal of Japanese imperialism obscures the fact that the Japanization of its colonies could be seen as a form of globalization decades before the era of 신세계. * Conversely, a purely nostalgic view of Korean traditionalism ignores the socio-economic disparities and gender inequalities of Confucian society. Equating traditionalism with Korean nationalism also ignores the fact that for the majority of the peninsula’s history, it has not been a unified nation-state. ideology to suit our needs without acknowledging how they can often speak to both sides of an argument. The anti-gay protesters argued that an “introduction” of homosexuality into Korea is destroying the “traditional” moral values of Korean culture. To emphasize this, many of the protesters dressed in hanbok and played samulnori. However, they also held a ballet performance, sang hymns, and congregated as representatives of their churches—all of which are cultural aspects with Western origins. I found it rather ironic that they were protesting the deviation from “Koreanness” in homosexuality through Western cultural performance and the invocation of Christian religious morals. Not to mention the fact that homosexuality isn’t exclusively a Western innovation that has “tainted” Korean sensibilities. *Credit to Kristen Sun for pointing this out. 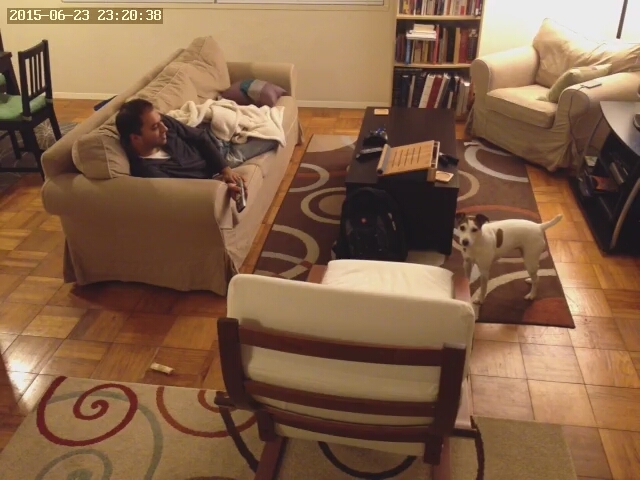 Spying on Olivia and Amul via the pet cam from my goshiwon. It was an acceptable loss. He ate them greedily, savored the salty decadence on his tongue. Nourished by the promise these words held, he felt himself transform. Like a summer cicada, he molted and emerged, refined, sophisticated, and cosmopolitan, leaving the dry husk of who he used to be clinging to the trunk of an old knotty pine that lined the dirt roads of Geoch’ang. Through his metamorphosis, she remained. Simple. Easy. Uncomplicated. She loved him with a fierceness that he took for granted, this girl he had known since primary school. Amid the chaos of all the sparkling, glittering promise of change, she remained, steadfast, content with whatever remnants of his attention he could afford to discard. But not the ways he wanted them to. No, in this, he desperately needed things to stay the same. He abandoned her when she asked for more than he was willing to give. After years of quiet complacency, he turned his back, allowed his parents to dictate, and washed his hands of her. He convinced himself it was for the best. He wasn’t ready. He hadn’t asked for this. His country needed him. Her father appeared at his door, a decorated war veteran, blinded by his country’s need. On his knees, this dignified man begged him to reconsider, to reach for her outstretched hand a complete the circle. But work-worn hands with the nails cut to the quick don’t belong entwined with ones sporting French cuffs and chrome cufflinks embellished with dazzling chips of cubic zirconium. So he closed the door and returned to dreams of the future that weren’t supposed to be put in motion yet. He buried himself in his aspirations, turned a deaf ear when whispers about a baby girl drifted by. When friends back home shot him sidelong glances and shook their heads, he bought his parents an apartment in the city so he wouldn’t have to run into old playmates on the dirt roads of Geoch’ang. When he learned she had moved on, married, found God, bore a daughter “for keeps” this time, he shrugged. He couldn’t afford to tally the sacrifice and loss when there were plans to be made. Time passed and life carried on, and he found himself on the corporate track with an acceptable wife, two sturdy sons, and the means to move his family into the glass skyscrapers that would protect them from the ghosts below that haunted him. Yet something still seemed lacking. Those golden days of his youth, holding hands, walking barefoot along the shore seemed so far away. And every once in a while, he allowed himself to imagine a daughter. A quiet girl with his hands and his nose, and his youthful ideas and hopes for the future. He allowed himself to think back to his first love, who he was sure wouldn’t nag him about his cholesterol or spending too much time at the driving range and not enough time with the boys. He tried to rationalize the decisions of his past, devised a system of checks and balances to prove the gains far outweighed the losses. But somehow the ledger never came out even. Somewhere, an empty column lurked, throwing off all his calculations. It was not a bad life he had made for himself. No, not at all. But he just wished sometimes some of the magic—the exhilaration of being young and in love—remained to carry him through those long hours at the office and into mundane nothingness of modernity.